Kenneth E. Pettit, age 77, died Tuesday, November 27, 2018 at his home in Covington. 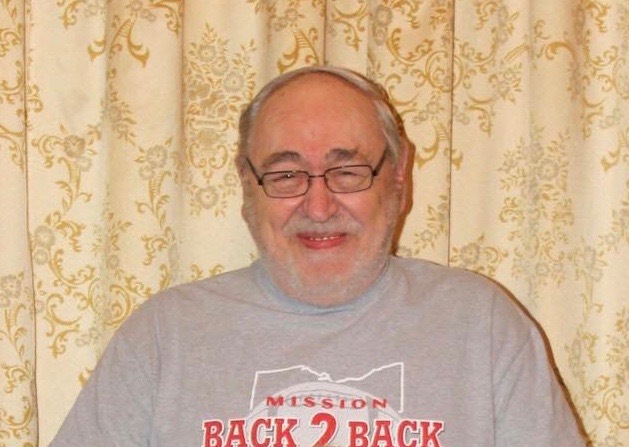 He was born, August 5, 1941 in Washington Court House to the late Glen Pettit & Edna (Ward) LeVan; attended Piqua Schools; retired from Aerovent after 44 years of service; loved to tinker in the garage, working on cars & mowers, raced go-karts, enjoyed bowling, golfing & hunting. Preceded in death by his parents; wife, Barbara Pettit; 2 sons, Kenneth Pettit & Jamie Pettit; brother, Ron Pettit. Ken is survived by 2 daughters & sons-in-law, Kim & Todd Alexander of Covington, Karen & Rick Sedam of Piqua; 4 grandchildren, Trent & Crystal Alexander, Joyce & Jason Willis, Daniel & Lauren (Peltier) Kendall, Brittany Kendall; 8 great-grandchildren, Trentin & Hannah Alexander, Sadie, Chase & Jr Willis, Audrianna Kendall, Grace & Faith Perkins; half sister, Susie Tullis of Piqua; nieces, nephews, other relatives & friends. Funeral Service will be held Friday at 7 p.m. at Bridges-Stocker-Fraley Funeral Home, Covington with Pastor John Shelton officiating. Visitation will be held 4 p.m. until time of service. Graveside service to be held at a later date. Graveside Service to be held Saturday, December 8, 2018 at 11 am at Miami Memorial Park Cemetery. Memorial contributions may be made to Ohio’s Hospice of Dayton. Condolences may be left for the family at www.stockerfraley.com.